RYAN McHugh needs more protection from referees, says Donegal manager Declan Bonner. 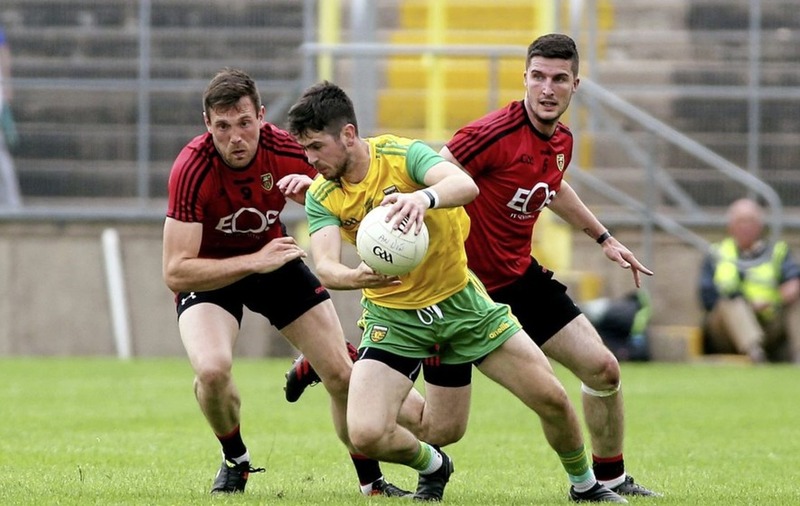 Bonner claims the skilful Kilcar playmaker has been "targeted" by defenders in Donegal's wins over Cavan, Derry, and Down and says Meath referee David Gough needs to take action if he becomes a marked man in Sunday's Ulster final against Fermanagh. 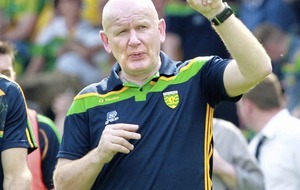 "You can see the punishment that is dished out to the likes of Ryan," said the Donegal manager. "To me, he doesn't get enough protection, he gets targeted, any match that we have been in he's been targeted. Officials are there and they pick up a lot of stuff but for some reason or other they don't seem to pick up on what's going on with the likes of Ryan. "It has been there in all the games – he has been targeted, there's no doubt about it. "It needs to be looked at and we could have picked up seven or eight issues in the semi-final that weren't addressed. He does need protection because he's not the biggest in the world, he has a light frame and he does come in for an awful lot. "He's brave, probably brave to the extreme, but he doesn't need to take it." Donegal will be without All-Ireland-winning full-back Neil McGee for Sunday's final. 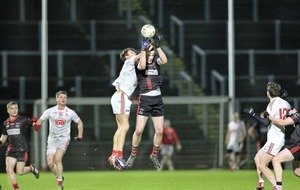 The Gweedore clubman remains suspended for his red card in the semi-final win over Down after an appeal was rejected. "He's a big loss, he's an experienced player," said Bonner. "He's been there and done it and he has that experience but whoever comes in on Sunday will do the job for us. "Neil is a big loss, he's a big presence in there and he is a leader but we have to move on. Whoever gets that jersey on Sunday I know will do a job." Bonner declined to confirm who would replace McGee but Caolan Ward (who moved to full-back against Down) and Hugh McFadden are both options. With 6-58 on the board in three wins so far, Donegal go into Sunday's final in form and favourites to win their first Anglo-Celt Cup since 2014. "You can only play what's put in front of you and we've handled the challenges well," said Bonner. "We know it's going to be a completely different game this Sunday in terms of what Fermanagh are going to bring to the table in terms of organization and their set-up and their physicality. We know what's coming down the line on Sunday and we have to be ready for that challenge. "Will it be a high-scoring game? That's going to be very difficult to be honest. Fermanagh have probably the best defensive record in the province, maybe in the country but it's a challenge that we've been getting ready for. "You don't underestimate Fermanagh, that's for sure." 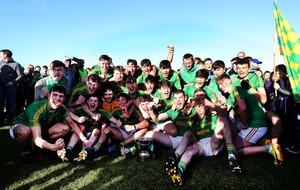 Bonner's Donegal predecessor Rory Gallagher has breathed life back into an Erne side that had looked flat throughout 2017. Having worked with the majority of the Donegal players, the Belleek native is well placed to come up with an effective gameplan for Sunday. "Rory has been with the guys for a good number of years and he knows the players," said Bonner. "But we have a fair idea of what Rory brings to the table too. He's going to bring good organization to that Fermanagh team and he has done that – if they weren't set-up properly they wouldn't have beaten Monaghan last time out. "At the same time we have a number of new lads and we can only worry about our squad. If we can get our gameplan nailed on on Sunday then we're in with a huge chance of winning."